Star Wars Episode VII: The Force Awakens has been confirmed for release in 2015! With principal filming completed earlier this month, we already can’t wait to see how the first film from the Star Wars sequel trilogy and the new joint venture of Disney and Lucasfilm will turn out. Will it be a return to form for the franchise, reminiscent of A New Hope? Or will it be like the prequel trilogy? Harrison Ford, Carrie Fisher, and Mark Hamill are all reprising their roles as Han, Leia, and Luke, so that’s promising at the very least. 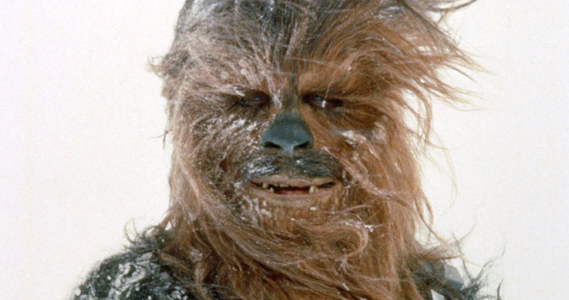 Before the year ends, we’ve decided to come up with a list of our Top 20 Star Wars characters of all time. Why twenty? It’s twice as nice as a top ten list. Besides, there’s a good chance we’ll change our minds on it before the movie comes out, anyway. 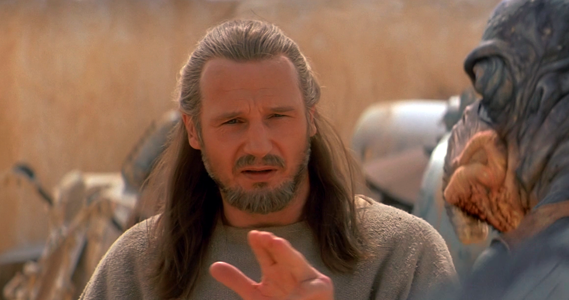 Jedi Master Qui-Gon Jinn, trainer of Obi-Wan and Star Wars alter-ego of Liam “Particular Set of Skills” Neeson, committed one major sin in The Phantom Menace that keeps him off the Top X. He saved Jar Jar Binks’ life. He’s cool, but we can’t help but feel like he’s just a slightly less cool version of his clone and “son,” Boba Fett. 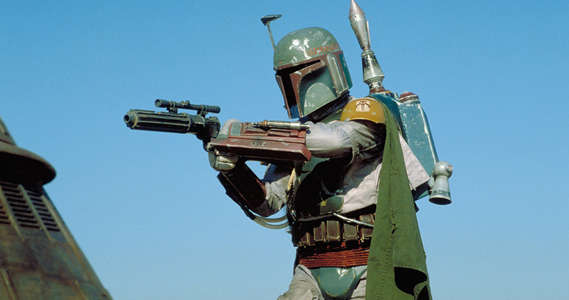 Boba is simply too iconic to be beat, and you’ll be seeing him on our main list below. 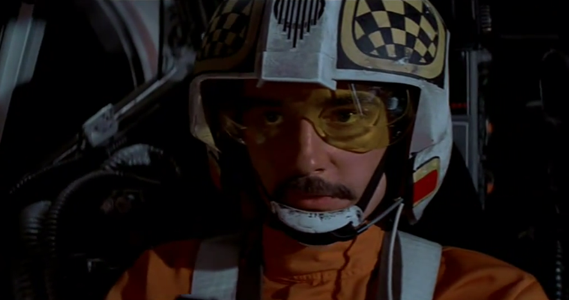 This is just a picture of Biggs, though. This pair of Luke’s fellow X-Wing pilots were a part of the attack on the Death Star during the Battle of Yavin. Biggs and Wedge were also the names of a duo that was part of the heroic rebel group that undertakes a bombing mission against the evil government at the beginning of Final Fantasy VII. (Sound familiar?) Square Enix has been using the names as a running joke in their games since the early 1990s. Speaking of Square, they also referenced the Jawas with their recurring Tonberry creature. 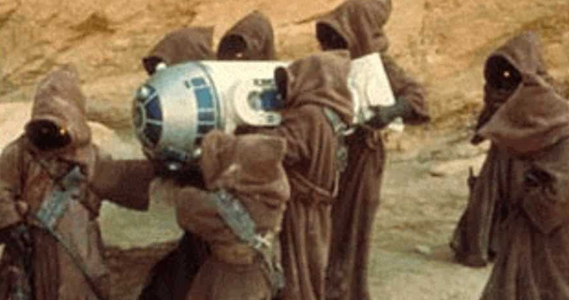 Much like the Ewoks, the Jawas are a Star Wars group that has somewhat of a cult following. We’re also fans of the Dinks, from Spaceballs. 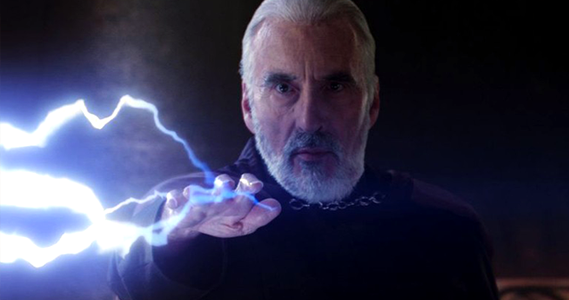 Once a venerated Jedi Master, Dooku fell to the Dark Side to embrace gnarly Force Lightning powers and less-gnarly political chit-chat scenes. By the way, did you know that Christopher Lee has his own heavy metal band? When you’re over 90 and super rich, there are no rules anymore. Seriously, who doesn’t love these adorable little guys? 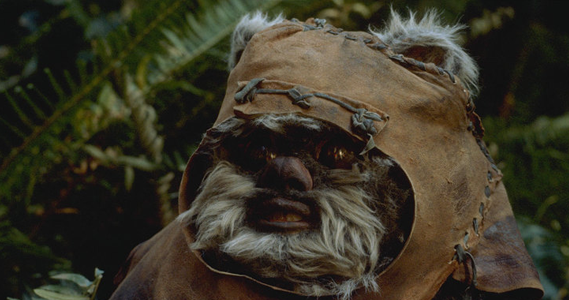 We’re listing them all as a group, but the scout, Wicket Wystri, is the named Ewok that most people know. 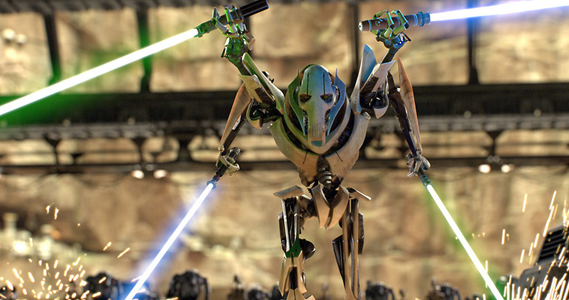 He’s not afraid of any enemies, even those much bigger than him (in other words, all of them) which might actually make him one of the bravest heroes in the Star Wars universe. 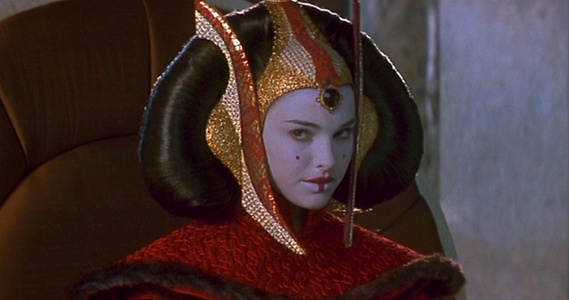 Amidala’s senatorial gown is one of the most extravagant and elaborate costumes in the Star Wars prequel trilogy. It was inspired by Mongolian fashions from the Middle Ages, including garb worn by the wives of Genghis Khan. Yes, they’re another group instead of a legitimate character. But, their armor and appearance are so iconic that they have to make the list. Their terrible aim keeps them near the bottom of it, though. We’re also not going to distinguish between Shadow Troopers, Clone Troopers, and all the other different types of Stormtroopers, because we’d be here all day. Dual-bladed red lightsaber? Check. Awesome black Sith tattoos? Check. Super cool horns? Check. 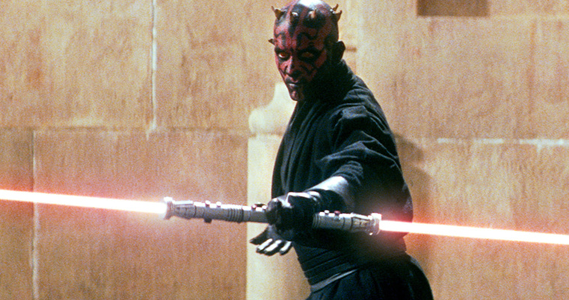 Darth Maul is one of our favorite characters based on looks alone. Why is Mace on the list when Qui-Gon didn’t make it? 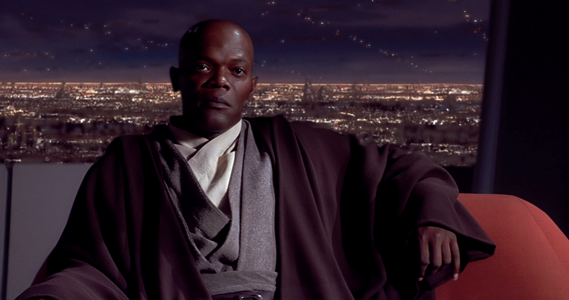 Well, Mace Windu is played by Samuel L. Jackson, who is awesome; he has a purple lightsaber, which is awesome; and he’s the guy who initially senses that something’s a little off about Anakin, which probably makes him more competent than most prequel trilogy characters. 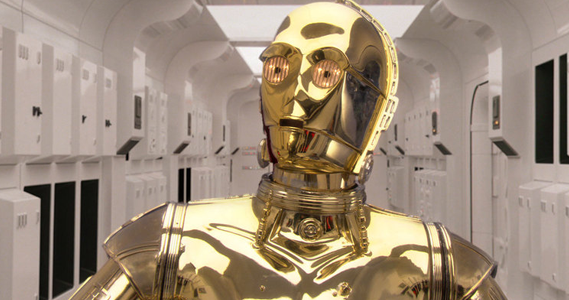 With a beautiful design inspired by Maria, the android in the classic silent film Metropolis, C-3PO’s zany and arguably neurotic character has been a big part of both Star Wars trilogies. 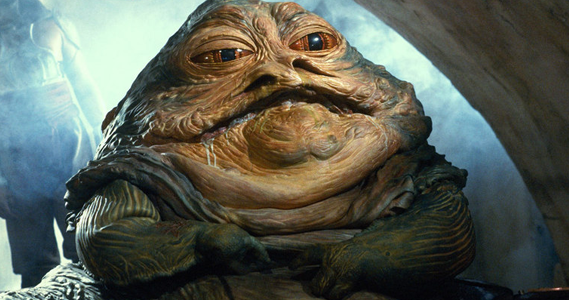 Jabba is a classic Star Wars villain, and he’s one of the most recognizable bad guys in general of all-time. His original appearance was in Return of the Jedi, but he got a retroactive cameo in the 1997 version of A New Hope (Han and Greedo’s shootout wasn’t the only thing that got revised). 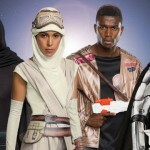 The Star Wars character with the most swag of all time cracks our top ten. 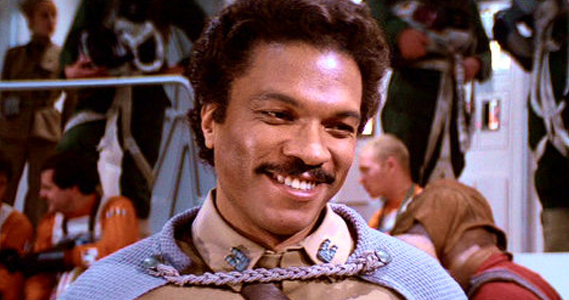 Lando’s been many things in life, from a superstar gambler to commanding general in times war, and he’s always been the kind of strong-willed character that makes him a favorite to us. 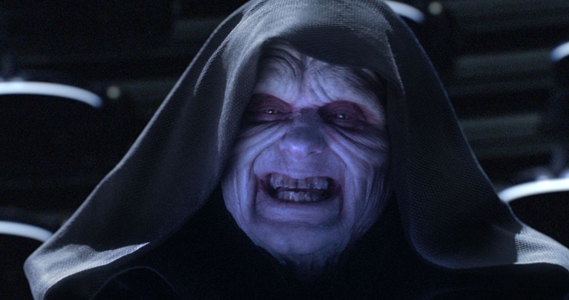 A lot of people don’t like any of the villains from the prequel trilogy, but we’ll give Sidious a nod here. 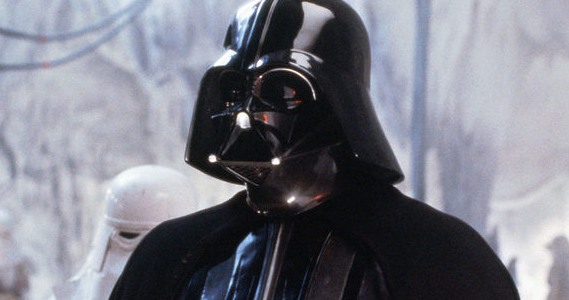 He’s just so creepy – aside from Darth Vader himself, he might just be one of the most evil-looking characters of all time. Plus, he was the one most directly responsible for Anakin joining the Dark Side in the first place, which is worthy of a top ten spot to us. 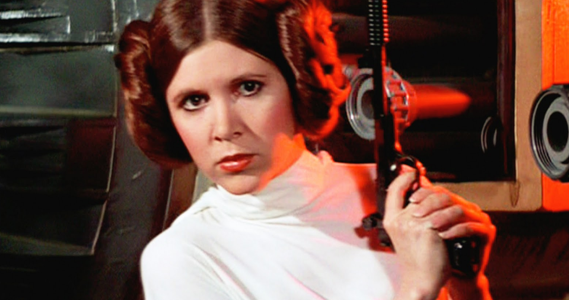 We love Leia as a heroine because, despite her royalty, she’s not afraid to wield a blaster and get in a fight. She’s definitely one tough chick — of course, the existence of the Slave Leia costume doesn’t hurt her ranking as far as we’re concerned, either. When the great bounty hunter Jango Fett was cloned by the Empire to create its army of Stormtroopers, one clone was left genetically unaltered. 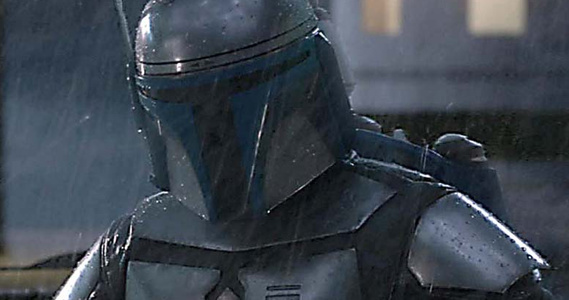 That clone was raised as Jango Fett’s son, Boba. 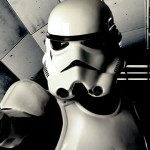 If not for Darth Vader himself, Boba Fett’s awesome armor might just be the most recognizable piece of Star Wars gear. 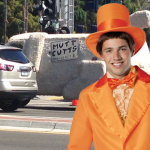 Either way, he’s achieved the status of cult favorite. 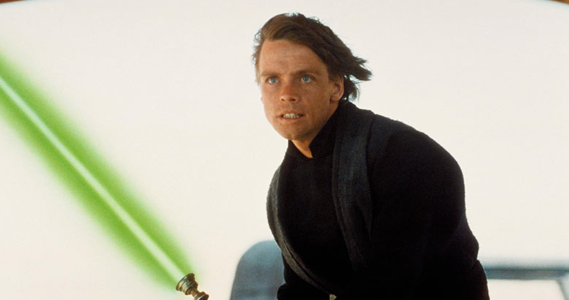 By being the main protagonist of the original trilogy, we almost have to give Luke a top five spot by default. The development, revelations, and emotions we see he character undergo throughout the movies is an incredible ride. 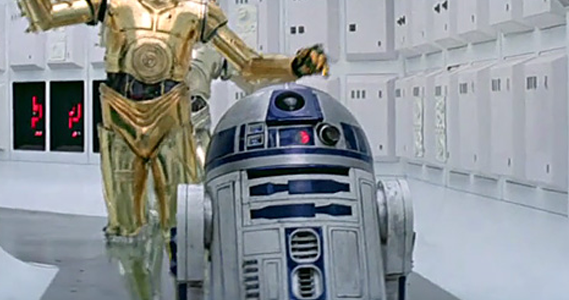 Plus, the Death Star Run scene is just freakin’ cool. 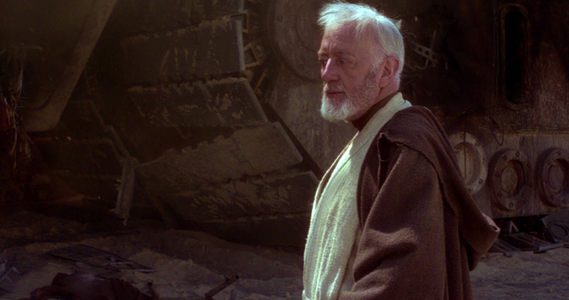 Obi-Wan was the initiator of Luke to the Jedi Arts, and we rank the teacher above the student. His final duel with Vader is also one of the most intense fight scenes in all of film. No flashy effects, no hyperactive choreography, and no unnecessary cuts to get in the way of the action – it’s just pure, climactic drama from start to finish. We put the backslash and “Anakin Skywalker” up there because it is factually accurate, but let’s be honest: the Dark Side is doing the heavy lifting here. 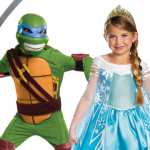 When kids (and adults) pick out Halloween costumes and their favorite Star Wars characters, they’re going to choose to be the ruthless, iconic, and purely epic embodiment of evil that is Darth Vader. Light triumphs over darkness on this list, which is why Yoda beats out Vader by one spot. As much as Darth Vader is a symbol of evil, Yoda is one of wisdom and the force of good. 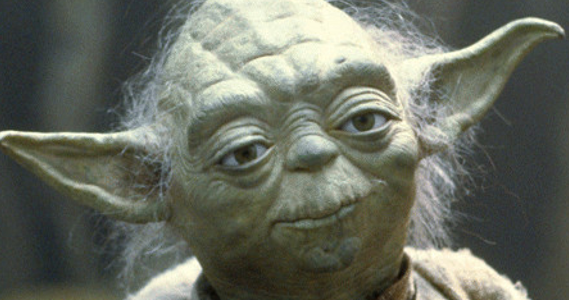 It doesn’t matter if he’s rendered practically or with CGI – Star Wars isn’t Star Wars without Yoda. Who else would our number one be? Han Solo is everything an action hero should be – a ruthless fighter, yet suave and compassionate. Harrison Ford, being the classically trained actor that he is, reportedly doesn’t actually like Han that much, because he overshadows so much of his other work. 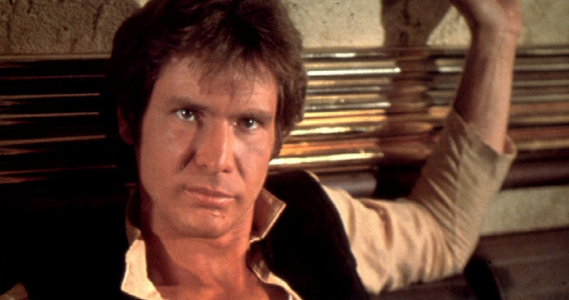 Sorry, Harrison, you’re always going to be Han Solo to us. 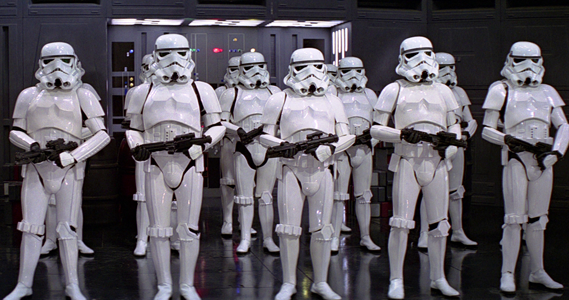 If you love Star Wars as much as we do, feel free to tell us how badly we screwed up this list! 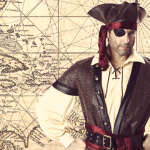 Follow us on Facebook or on Twitter @BuyCostumes to share your thoughts, or send us a quick email. Also, stay tuned for Star Wars costume ideas and tutorials coming up soon. 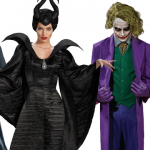 Until then, visit our Pinterest boards for more costume ideas! The Star Wars films and all characters, names, etc. appearing in those films are owned by Lucasfilm Limited, a subsidiary of The Walt Disney Company.